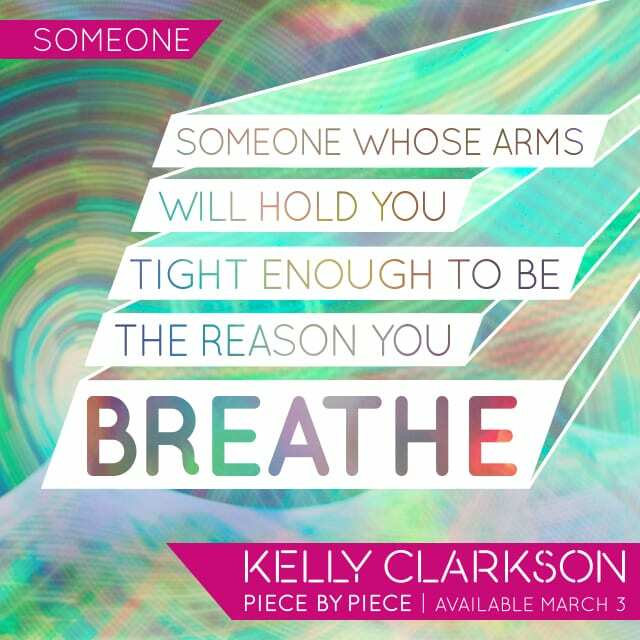 Kelly Clarkson’s new album Piece By Piece will be out in just 4 weeks, and we have the full track list to obsess over until then. We already know the writers for some songs, lyrics for the others, and even some background stories about a few more! We put together this roundup of all the songs that will appear on Piece By Piece, and everything we know about each one. We will keep it updated as more information is revealed. Piece By Piece will be out on March 3rd, but you can pre-order it on iTunes right now. 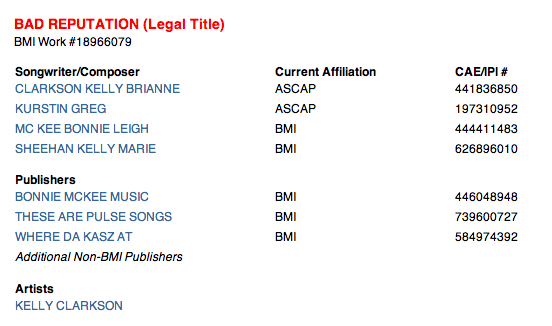 We first heard of “Heartbeat Song” around April 2014 when it was registered on ASCAP, but it was months before we learned anything else about it. In early January, Kelly tweeted out some hints about her upcoming single, and fans quickly deciphered it: “Heartbeat Song” would be the first single! It was released on January 11th, with a lyric video following on January 26th. A proper music video should be released in the next few weeks. Kelly describes “Heartbeat Song” as the most pop on Piece By Piece. She also says it will sound the most familiar to fans, and that’s why it was selected as the first single. Sia revealed on Twitter that she had written a song for Kelly’s new album with Jesse Shatkin. Kelly all but confirmed she had a new Sia-penned song in early 2014, but still didn’t reveal a title. Luckily, official song registration has unveiled the info for us! If “Invincible” is anything like Sia’s hit “Chandelier,” it’s bound to be good! And with “Invincible” listed as track #2 on Piece By Piece, we can expect it to be the second single. Considering that “Since U Been Gone,” “I Do Not Hook Up,” and “Stronger (What Doesn’t Kill You)” were all second tracks and second singles, there’s a good chance “Invincible” will be blasting out of radios and climbing the charts in no time. Kelly has recently said herself that she’s planning to release “Invincible” as the second single soon. “Invincible” was released on February 23, 2015. It’s an ethereal anthem, and shows off Kelly’s vocal range. If you pre-ordered Piece By Piece, you can get it as an instant download. It’s also on YouTube now – scroll down to listen! In spring 2014, rumors popped up that Kelly had recorded a song called “Take You High,” written by Maureen McDonald and Jesse Shatkin. At the time there was little support for them, but it seems to be true now, since Kelly revealed some lyrics for a song with the same name! Kelly says this is the most personal song on the album, and talked about the inspiration behind it. In a new interview, Kelly described the ballad as sad, but also the “silver lining to “Because Of You,”” her 2004 hit about her parents’ divorce when she was young. As Kelly explains, she was having a conversation with her older sister and it inspired her. Kelly wrote it for her sister, but also told her own side of the story. With Kelly being 7 years younger, her perspective is quite different from her sister’s. Growing up, the never had a good example of how a man should be. It was only “horrible things” that they saw, and Kelly and her sister feel lucky that they were able to find good men that showed them a better example. 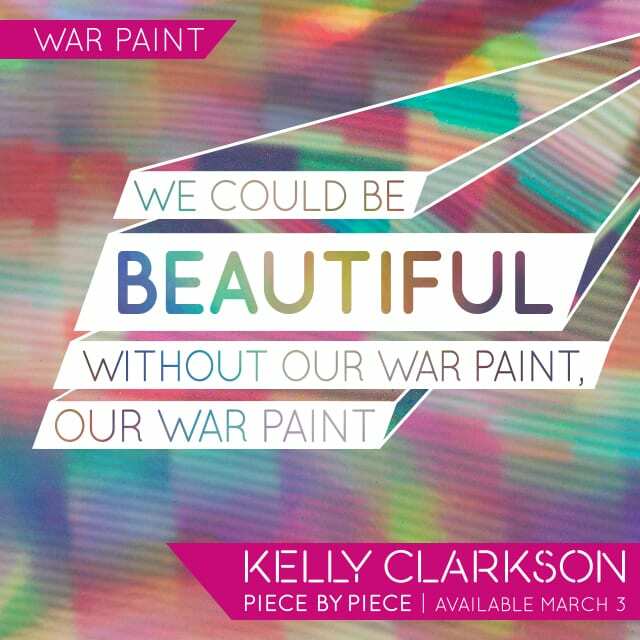 Their husbands “picked up all those pieces that were broken from childhood and put them back together.” Although “Piece By Piece” is a sad song, Kelly says it has twist at the end, which is actually shown in the partial lyrics below. In another interview, Kelly said that before having her daughter, she had worried she wouldn’t be a good mother. “Piece By Piece” is for her daughter River, and is her getting her fears out about being a mad mom. Luckily, Kelly is a wonderful mother to her baby girl, River. Kelly has been hyping up this duet for some time now. She mentioned in late 2014 that she had a duet with a male artist – that she had worked with before in some capacity – and that he has an amazing voice. We predicted that John Legend would be the man, and now we know this to be true! In January, Kelly was interviewed at On Air with Ryan Seacrest about her new duet. We didn’t know who it was at the time, but she said it’s “not as obvious as you might think … He is super talented and we’ve worked together before.” She also mentioned that it wasn’t originally intended to be a duet. When I was little, I imagined that my generation would be MORE, and maybe that’s because I expect a lot out of people and myself, and society. I was just very frustrated when I wrote it. With myself as well – it’s not just attacking people, it’s myself as well. You know, we could do better. According to music insider Jeff1317, “Tightrope” is a ballad. Over the last few years, plenty of additional song titles have cropped up. Kelly has confirmed that Piece By Piece is a full pop album, which might explain the absence of all of the known country songs. Her 2013 country single “Tie It Up” is noticeably absent, as is country rock tune called “Ain’t Gonna Like This,” which she sang live in 2013. Other titles – “One Note” and “Go On,” among others – were evidently country tracks based on the writers, and have not been included. Kelly has confirmed multiple times that she did record many country songs – she even planned to put out both a country and a pop album. It seems that she may still have that intention. Perhaps these unused country songs will appear on their own album in the future. Other rumored titles like “Shadow” and “Sensation” were never officially confirmed, and are not on Piece By Piece. You can see the full list of songs to see what didn’t make it onto the new album. Piece By Piece will be out on March 3rd. The standard edition includes 13 tracks, but the deluxe edition has 3 additional bonus tracks. You can pre-order the album on iTunes now and get an instant download of the first single, “Heartbeat Song,” as well as “Invincible.” Keep checking back here for more Kelly Clarkson music news. ← Avril Lavigne’s February Surprise: The “Give You What You Like” Music Video!